Posted 6/21/2018 2:24pm by Cherry Valley Organics. For many folks, one of the toughest challenges of eating local is realizing how connected our food is to the natural cycles of nature. Our ancestors were intimately in tune with the seasons, especially when it came to the foods they ate. But modern food production and delivery systems make it easy to get strawberries, cucumbers, and tomatoes in February, a time when our ancestors were eating potatoes, squash, pumpkins, and other winter storage vegetables. Today, most produce is shipped thousands of miles, often across many state and country borders, before it makes it to the shelves of your neighborhood grocery store. Just two or three generations ago, having an orange at Christmastime was a cherished treat, and biting into a fresh peach anytime other than June or July was unheard of here in Pennsylvania. Our grandparents, great-grandparents, and the many generations before them ate with the seasons. Spring was a time for cool-weather-loving vegetables, like fresh lettuce, spinach, radish, and peas. Heat-loving vegetables and fruits, like tomatoes, eggplants, peppers, corn, and beans, weren't on the menu until July, unless they were processed and canned the season before. 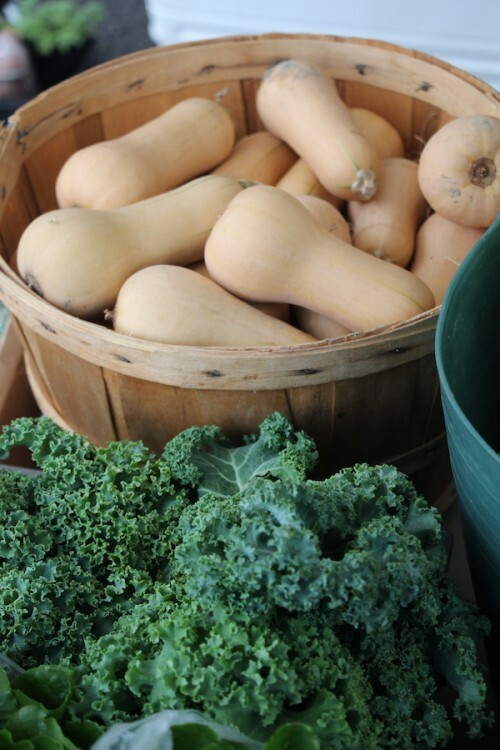 And fall and winter brought late-season or cold-weather crops such as winter squash, pumpkins, cabbage, and turnips. Food seasonality is a difficult concept to keep in mind when the modern food system makes it so easy to get cherries from South America in December or basil from California in March. The decision to switch from purchasing your fruits and veggies at the grocery store to purchasing them from a small, local farm like ours, means a necessary return to the roots of food seasonality. It's one of the most difficult challenges of eating local, but it's an important one, if you want to focus on eating healthy and fresh. Yes, many Pennsylvania farmers, including ourselves, have learned to push the boundaries of food seasonality by building greenhouses and high tunnels to "speed up" the season and allow us to plant certain crops weeks earlier than our grandparents did, but seasonality is still at the heart of the food small Pennsylvania farmers like us grow for our customers. Realizing that many of our farmer's market and farm share customers are used to shopping at the grocery store, where they have access to almost any fruit and veggie year-round, means that it's our responsibility to help those customers reconnect to the natural cycles of food production here in Pennsylvania. We built the chart below to show which crops are available to our customers during the peak months of the summer harvest season. 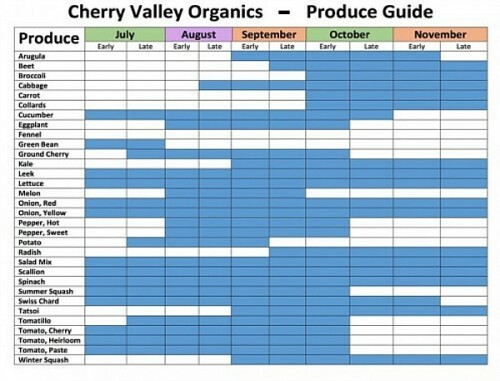 While there are a huge number of variables that influence the true harvest time of each crop (including the weather, insect pests, plant diseases, and more) this chart gives our customers a good idea of the seasonality of each of the crops we grow. Seasons that start with a cold, prolonged spring (like the spring of 2018), may mean the harvest of certain crops is delayed by a few weeks. 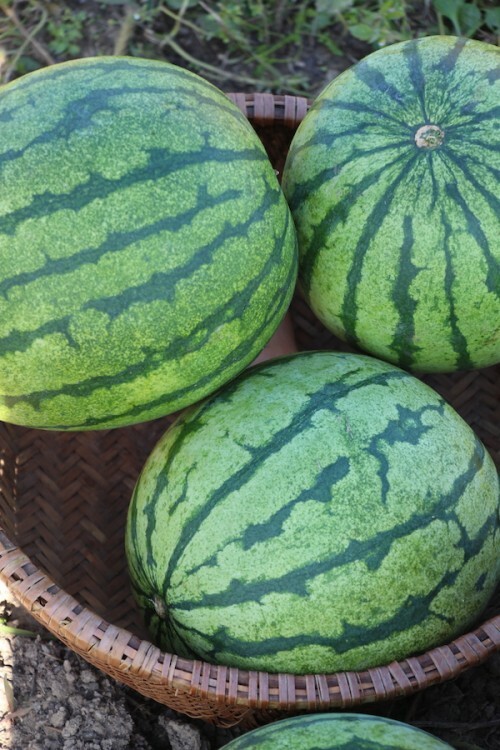 And summers with extreme droughts can sometimes translate to a delay or reduction in crop production levels for the rest of that growing season. There is always an element of risk for farmers when it comes to both harvest timing and yields. Flexibility is a must for small farms like ours. 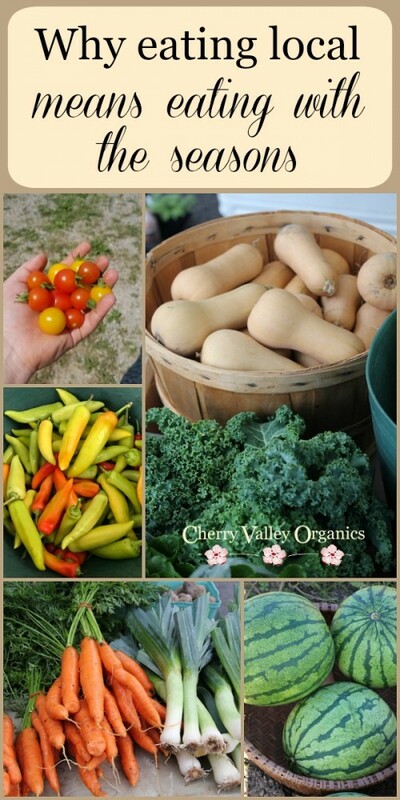 Our goal, as always, is to provide our customers with a diversity of fresh, nutrient-dense, certified organic fruits, vegetables, and herbs grown in perfect tune with the seasons right here on our farm. If you have any questions about how or what we grow, don't hesitate to get in touch. We'd be more than happy to hear from you! - What are ground cherries?